Wall Street Journalist Andrea Petersen suffers from anxiety. 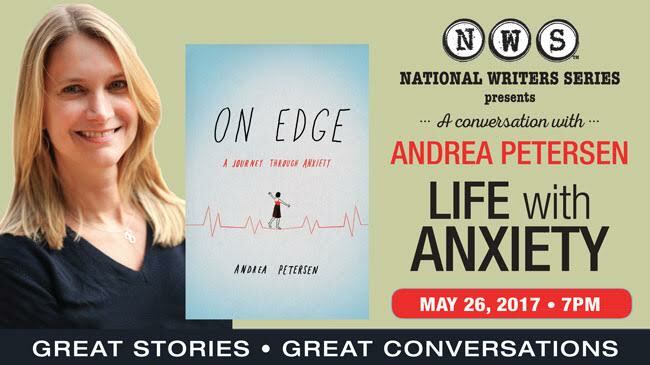 So much so that she wrote a book on it: On Edge: A Journey Through Anxiety. She talks of her attempts to tame her own anxiety, but also deftly weaves in biology: the genetic echoes of mental health disorders, behavioral and narcotic treatments, and cutting-edge neuroscience research that may change how we look at this disorder. This event has been additionally sponsored by Wayne and Terry Lobdell. Tickets on sale to Friends on January 4, 2017. Public on sale January 11, 2017. Buy the entire NWS season and save 20%. Contact the box office at (231) 941-8082.